Joints in lightweight metal constructions are exposed to numerous climate and mechanical stress factors. The perfectly matched product solutions in our ISOM-METAL BUILDING SEALING SYSTEM allow you to meet all physical requirements concerning thermal protection, airtightness, sound and humidity protection, fire protection and resistance to temperature changes easily and in full compliance with standards. 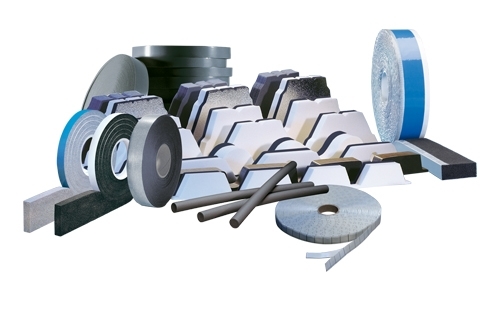 legal safety – fulfilment of EnEV and IFBS directive "joint airtightness in lightweight metal construction"
The components of the ISOM-METAL BUILDING SEALING SYSTEM offer a solution for almost every connection situation in lightweight metal construction. All system components can be installed simply and safely despite the weather. The ISOM-METAL BUILDING SEALING SYSTEM has been tailor-made for the airtight execution of ceiling and wall structures with steel panel profiles and sandwich elements.